All screens best viewed in 800x600 resolution and utilize a progressive JPEG format. Photos are encoded with copyright, and information in AdobePhotoShop Info File. 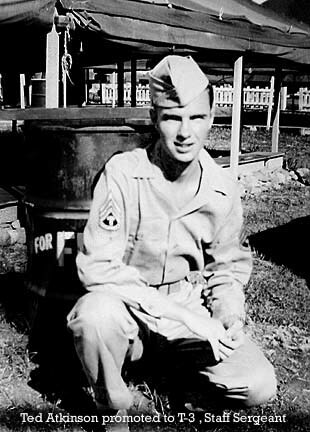 Ted entered the Army's Specialized Training Program immediately after high school graduation in June of 1944. 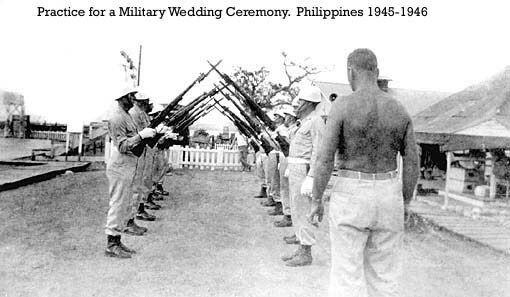 After 2 semesters at Norwich University, Northfield Vermont and basic infantry training at Camp Wheeler in Macon, Georgia he headed for the Philippines. 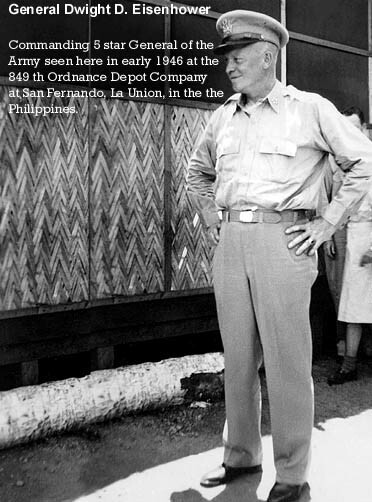 Two days out from San Fransico VJ Day was declared. 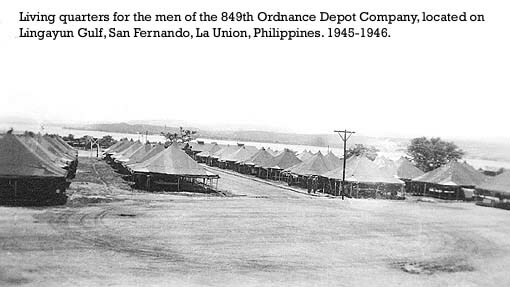 In the Philippines he was assigned to the 849th Ordnance Depot Company. 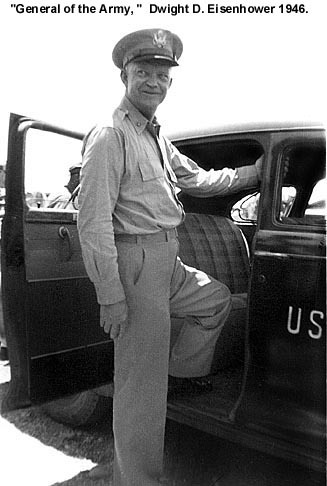 Unique to the photos in his possession are those of General of the Army, Dwight D. Eisenhower as photographed by one of his friends.